Comment: Putting in solar photovoltaic panels and new roof in my house, I have a very old water heater (It's montgomery ward brand, to give you an idea). I saw that there's a Texas gas rebate and austin energy rebate for solar water heaters, so i wanted to see how my out-of-pocket cost would be. Comment: We would like to support renewable energy sources, and save money on our electric bills for our residence. Comment: Aurora PV Inverter is generating a fault message. Need someone to inspect, repair or replace as necessary. Comment: Interested in replacing our existing gas water heater with an energy efficient one. Open for suggestions. Can be gas only. Austin Solar Energy Companies are rated 4.94 out of 5 based on 51 reviews of 13 pros. 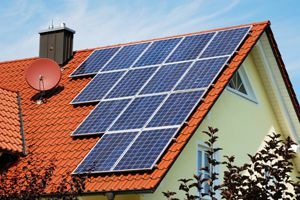 Not Looking for Solar Contractors in Austin, TX?